This may be one of the United States’ most culturally rich cities. The city dates back to 1630, home to events such as the Tea Party and being a focal point for immigrants moving to America, this city is representative of many of America’s most important qualities. This is also one of the United States highest ranked cities in the Global City index as most economically powerful cities, placing at number thirty overall. Obviously, education plays a large part in the local economy, yet the area is also a hub for biotechnology and government jobs make up a large part of the regional workforce. One of the city’s nicknames is “America’s Walking City” due to the excellent public transportation and walkability. Reviewed as having the fifth highest rate of residents that use public transportation to get to work, living here means that you are going to want to get used to walking. This is for the best because it’s a running joke that the streets were designed to move cattle. To make commuting even easier, apartment finders will want to look for their next place near a subway or commuter rail station of the major public transit MBTA that locals call the T.
Many move here for academic purposes due to some of the most highly rated and prestigious colleges and universities in the country. Two of these, Harvard University and MIT, are located in Cambridge, one of the most popular and expensive areas in the region. With many historical and cultural sites due to the universities coupled with gorgeous, tree-lined neighborhoods, Cambridge has a very unique charm. Sometimes referred to as “Square City,” Cambridge is split into many squares such as Kendall Square, Central Square and Harvard Square (where you find a heavy concentration of Harvard students). Cambridge is one of the most upscale and expensive areas in the area due to the intense economic environment and the historic atmosphere of the neighborhoods. Also, with new developments and the refurnishing of old buildings, Cambridge is loaded with luxury apartments for rent. Living close to the Charles River offers residents many outdoor activities. With walking and bicycling trails and the waterways to canoe and boat, the Charles River is one of the city’s unique amenities and great for those looking for pet-friendly avenues for their companions. In fact, the Charles Regatta takes place every year in October and attracts around 30,000 spectators to watch some of the world’s best rowers compete. There are many unique areas located within the central metropolis. The North End, for example, is known to some as “Little Italy” and is a prime location for urbanites wanting to be the midst of Italian culture. During the summers, there are Italian Festivals every weekend such as Saint Anthony’s Feast which has taken place the last Sunday of August since 1919. North End is one of the city’s oldest neighborhoods, dating back to the 1630s and has several historical sites such as Paul Revere’s House and the Moses Pierce-Hitchborn House. Compared to other areas nearby, The North End is less expensive, so finding Boston’s cheap apartments in this area is more doable. While North End is one of the more affordable communities within the area, East Boston and Charleston are also good alternatives for those searching for areas with easy commutes to the city hub and inexpensive house rentals. These areas are also known for their wide variety of Latin American restaurants and many parks located on the peninsula such as Pier Park. Meanwhile, some notable characteristics of Charleston include its historically strong Irish-American population, the National Historical Park and its beautiful waterfront. Those looking for a younger atmosphere should check out Allston and Brighton and the area that lays between them. Being right between BU and BC with easy access to the T, these neighborhoods attract a lot of students. Also, tons of living options are available in Allston from studio with all utilities included, townhomes, and more. The region experiences all four seasons, though the springs can be on the shorter side. The winters can be very cold while the summertime can get hot and muggy. So, make sure to search for a place with all bills paid to cut down on the heating/cooling bills. Also, using an apartment guide will be a good way to weed out the poor and unreliable listings that can be found on Craigslist. Best late-night food in boston is found at the Peach Farm. Get there at 1:45am (or earlier) to get in, or else you'll be in line forever. Don't necessarily recommend living in chinatown, but it's fun to visit if you're out in beacon hill or back bay somewhere. Great access to the Green Line and the Prudential Center, and a short walk to the South End. A bit touristy though, so you might have to walk an extra couple blogs to find the better restaurants or avoid holiday crowds. I lived on Clarendon just south of Columbus and it was my favorite neighborhood in Boston. It's quiet with very little traffic and adorable brownstones, while at the same time still close to a lot of fun spots, including the Tremont restaurant and bar scene and the Boston Common. We really enjoyed being able to walk everywhere on weekends, from the South End to the North End, Harvard Square, Back Bay and everywhere in between. The lack of local grocery stores made a car pretty important, however, we really loved the mix of people in our neighborhood and the ability to walk everywhere! 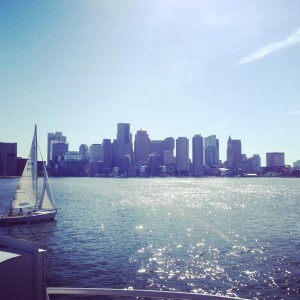 RentLingo is your trusted apartment finder in Boston. We hire local experts, such as former property managers and locators to anonymously tour and consistently rate and review every available place. They share their honest and unbiased perspective with you, so you know how every rental ranks in the area. Because our experts tour every property, we can offer consistent apartment ratings across every region. So unlike finding a Backpage or Craigslist rental, you can trust these apartments are verified and trustworthy: whether it's a cheap studio or a one bedroom with all utilities paid all the way up to a nice house for rent or a luxury condo.